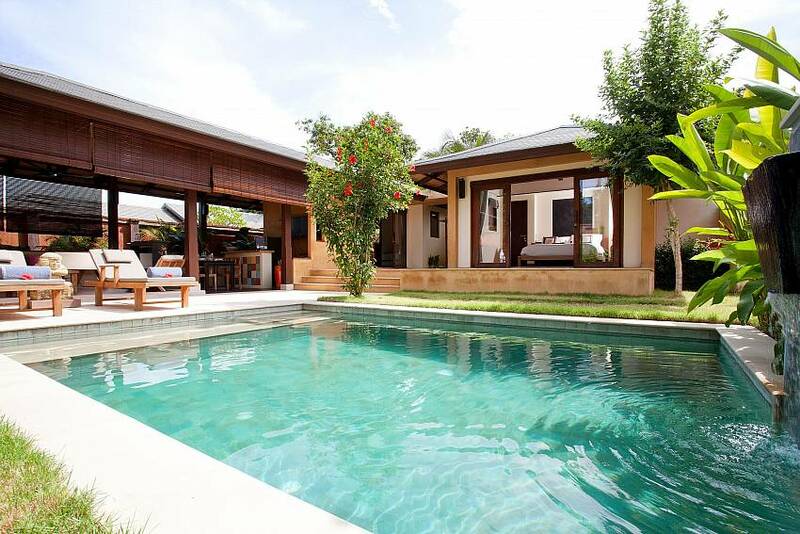 Villa Suay showcases the best in Balinese architecture whilst also providing all the modern conveniences you'll need. 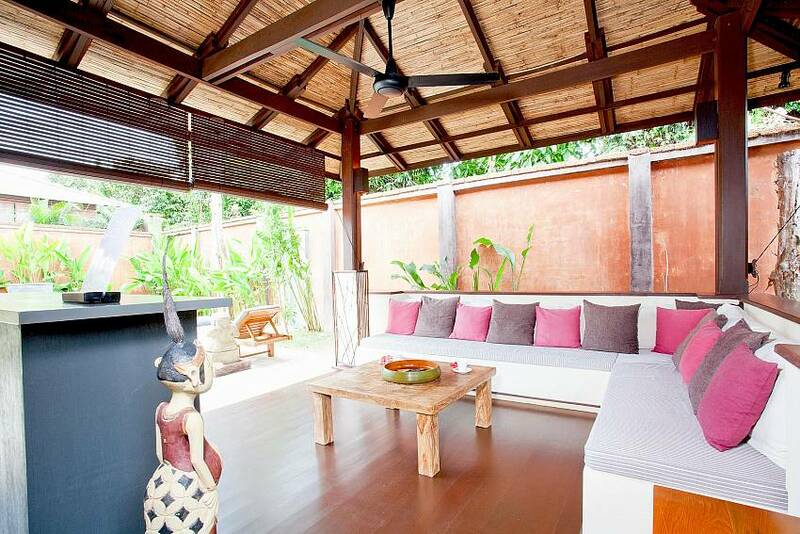 Being tucked away in the hillside near Klong Khong Beach, it is the perfect place to go to get away from it all. The garden is as idyllic as the surrounding areas and the swimming pool area is great for a refreshing dip or relaxing around on the sun decks. The whole place really opens itself up to the beauty of nature. 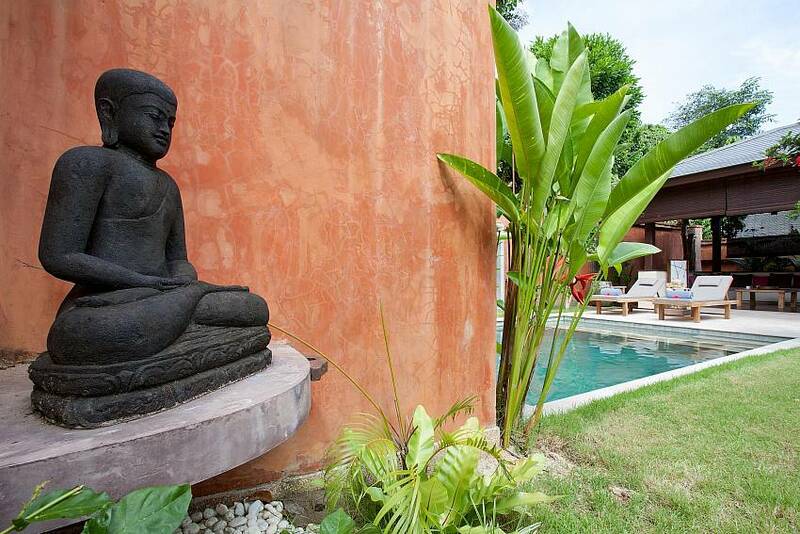 Tucked away on a hillside, Villa Suay is only a 500m walk down to Klong Khong Beach. The beachside area has plenty of restaurants, bars and massage facilities to choose from, as well as other attractions. 4km to the north is Long Beach, where there is also a vast selection of eateries and nightlife entertainment. 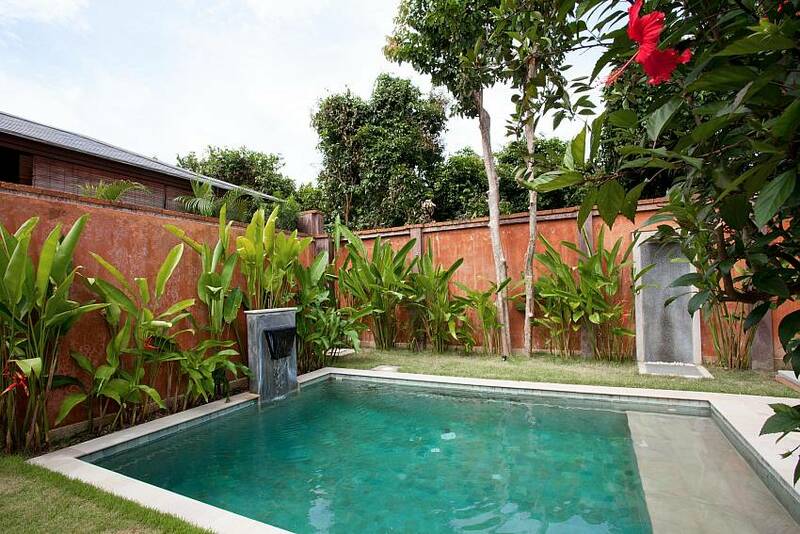 8km to the south of the villa is the ‘boutique' area of Klong Nin. This area has many quaint beachside bars and restaurants. 24 hour security is provided at Villa Suay, and there is friendly staff in the reception area to help you with anything you might need during office hours. Bookings for any excursion can be made in this area, including scuba diving, paddle-boarding, fishing, kayaking and many more. 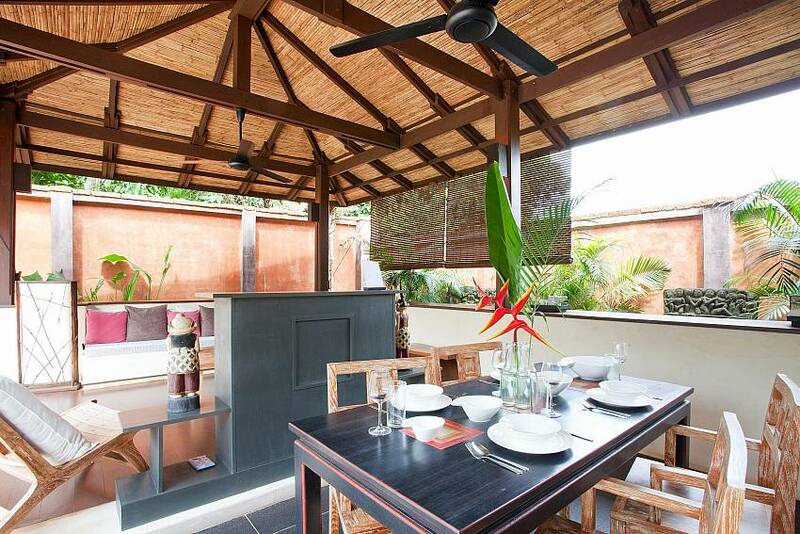 To get the overview of all our Koh Lanta villa rentals click here. 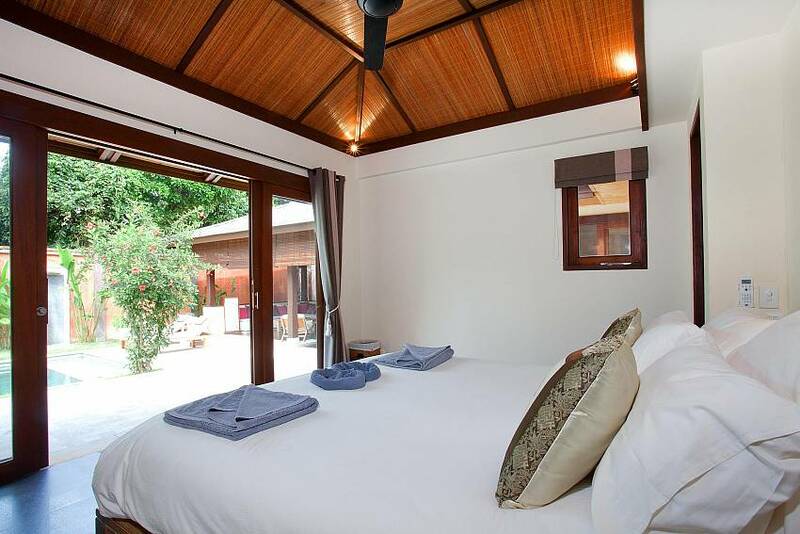 Both bedrooms are large and have en suite bathrooms and air-conditioning. 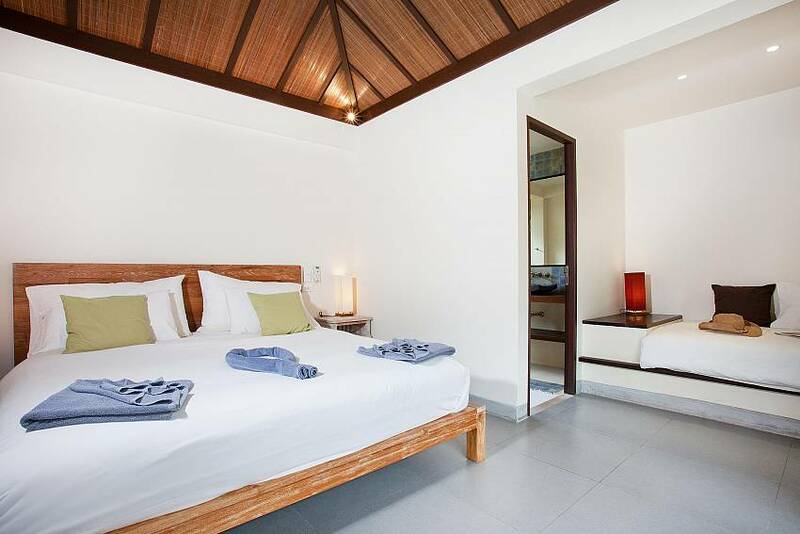 The master bedroom is slightly bigger with a convenient day bed that can also serve as a bed for an extra guest. The bathrooms are a unique feature. 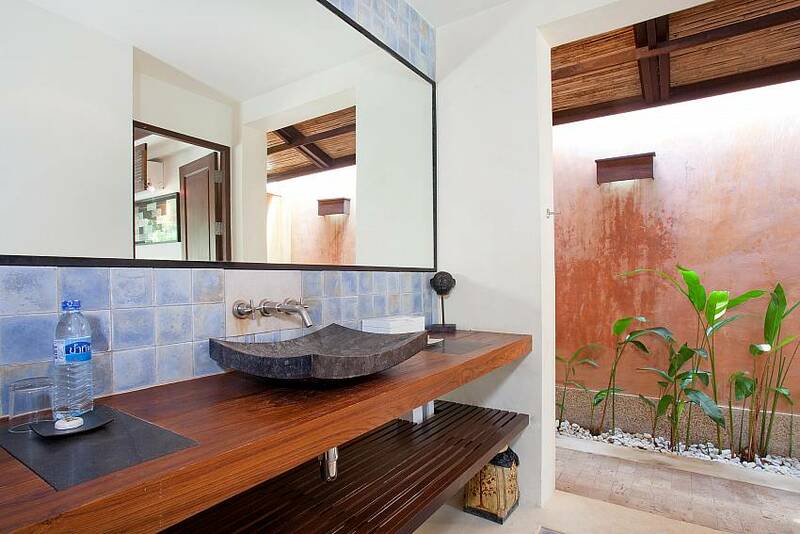 They have hot water showers, western toilets and basins, and each one opens up to the garden, allowing views of banana and palm trees plus other stunning flowers that are native to the region. They’re the perfect location to freshen up whilst being close to nature. 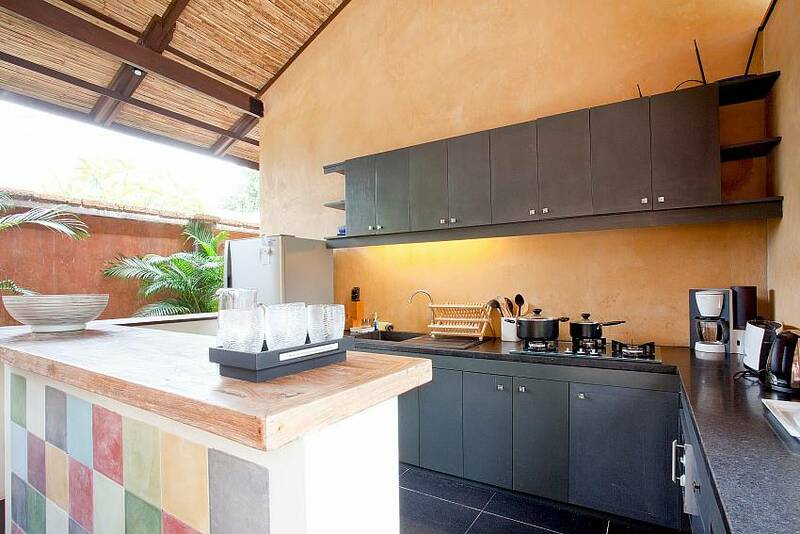 The open air kitchen has all the modern appliances you’ll need for cooking up a storm, including a cooking hob, microwave, toaster, coffee maker, fridge freezer and high quality kitchen utensils, as well as cutlery and crockery. The luxury sofa in the lounge area is the perfect place to sit back and enjoy the large plasma TV. 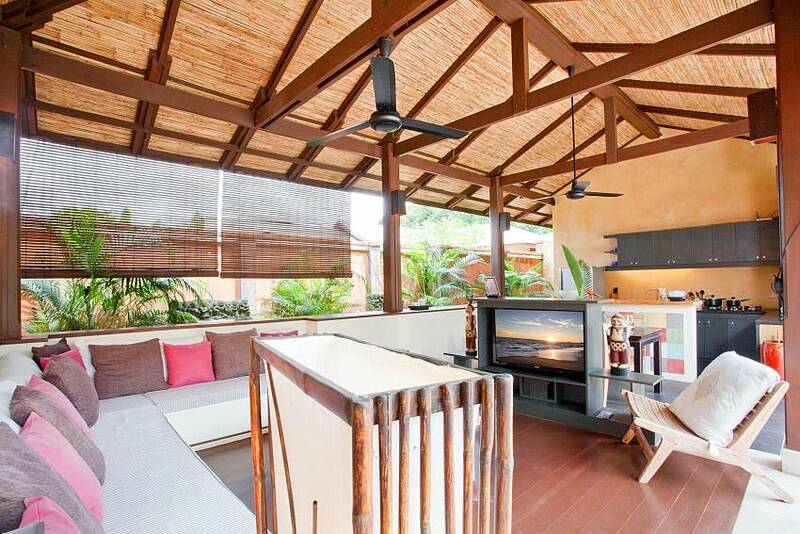 The whole section blends perfectly with the outside environment, so you’ll always be in touch with nature, even when you’re watching movies. The wonderful wooden table in the dining area can seat up to 5 people. The whole section affords gorgeous views of the garden and swimming pool.